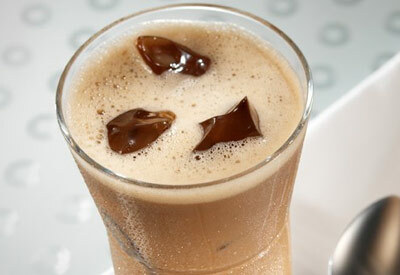 A calcium rich coffee drink that can be served hot or cold. Brew 2 cups of French roast or espresso-style coffee and pour into a small saucepan with milk, cocoa powder, sugar and vanilla extract; simmer for 5 minutes. Let cool for 5 minutes; pour over ice in 2 large lidded cups and shake well before serving.